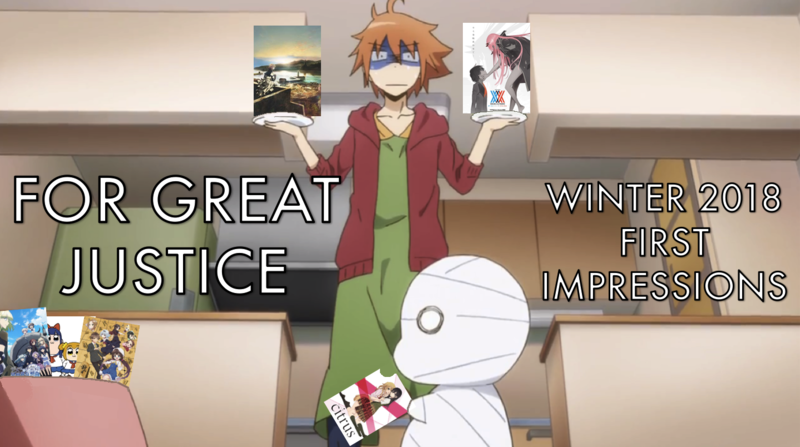 It’s the dead of a…surprisingly mild winter for each of us, but there is still time to get trapped indoors and watch anime, and what a bountiful selection of shows we have to choose from! Between the two of us there’s only one drop below—everything else we’ve been watching ranges from “good enough” to a potential highlight of the year. 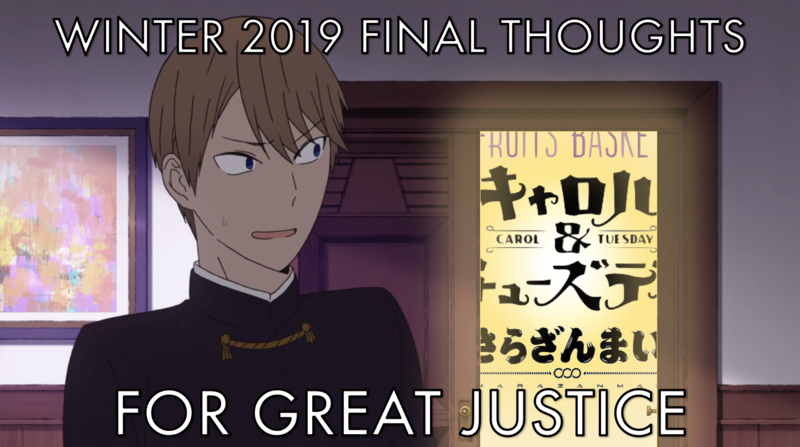 Which series are Yata and Haru digging most halfway through our first season of 2019? Find out below! We’re both back now! 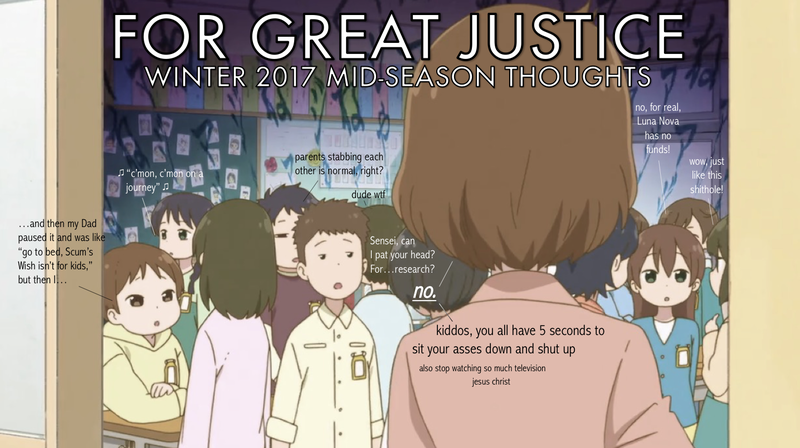 The Great Great Justice Hiatus is over, and what better time to return than the start of a new year? 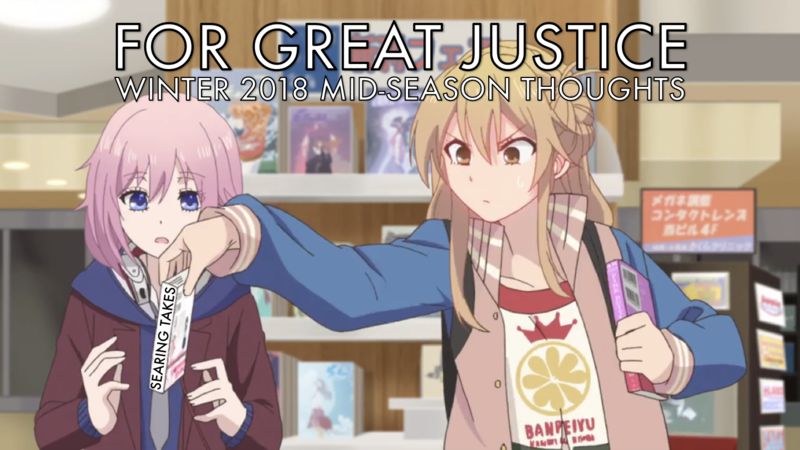 From the looks of it, this will be a pretty average season of anime, too: some favorites are back with new installments, some titles that slipped us by have started off on the right foot, and…uh…there’s plenty of unrepentant garbage floating around too, but all in a day’s work, right? 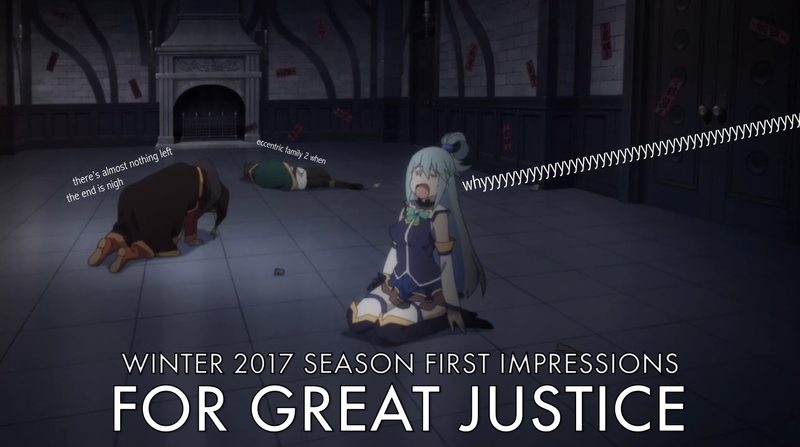 No point beating around the bush, let’s jump right into our first impressions on this winter season! Well, I was right in predicting we’d get a new update article out in February. Guess I just underestimated how long it would take. 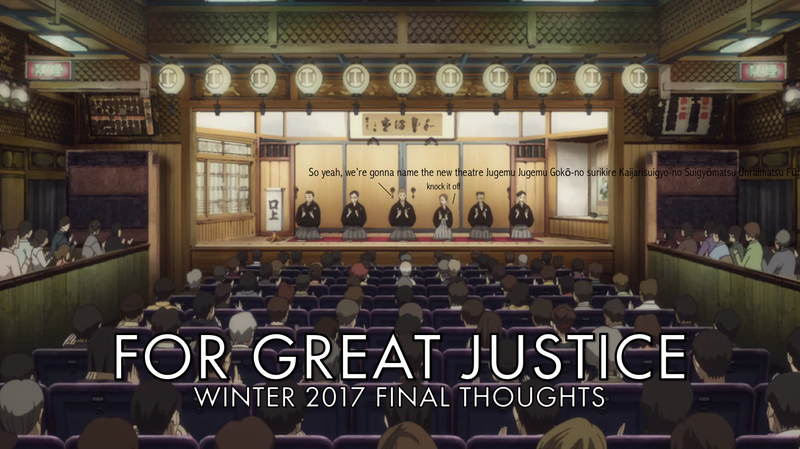 But hey, for the first time in a while now, Yata, Catche, and even Haru were all able to dump together some thoughts on what they’ve stuck with this winter 2017 anime season. Some of the highlights are clear, some are…not quite what you’d expect, and there’s a fair bit of gray area in between. 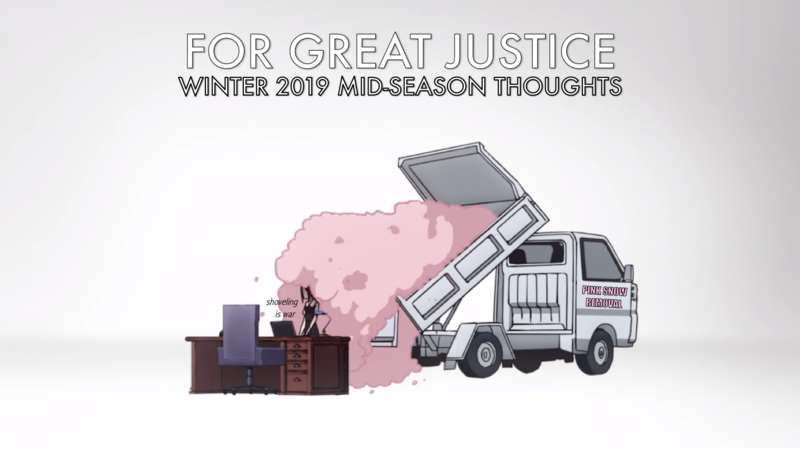 What shows have been doing great justice for who, and of course, the juicier question: what’s getting dropped? Read on to find out! And while for the sake of getting some kicks, we’re bound to agree with that to an extent, there are also some gems in the rough this season worth keeping an eye on. 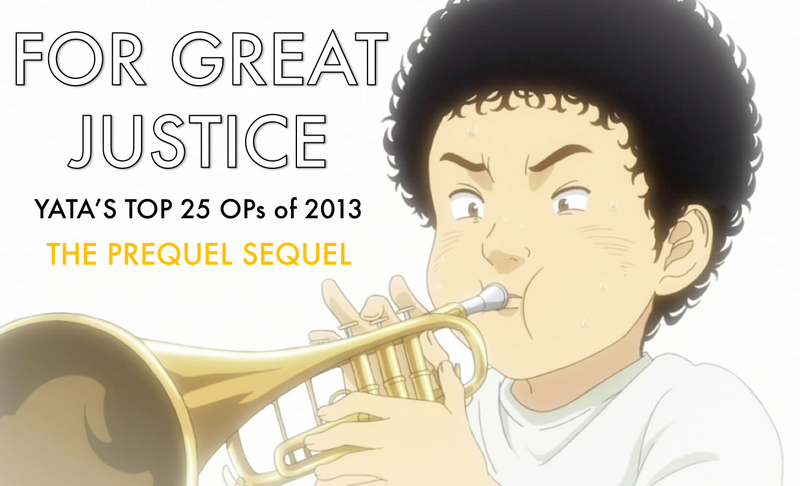 The rest of the world may be entering a scary, unforeseen era which has partially inspired an ongoing scandal within the anime-osphere too, but here at For Great Justice, things remain the same as ever. Below, Yata writes far too much, Haru watches stuff but isn’t able to jot anything down in time, L-K is still floating in the aether somewhere probably, and newcomer Catche makes his return. 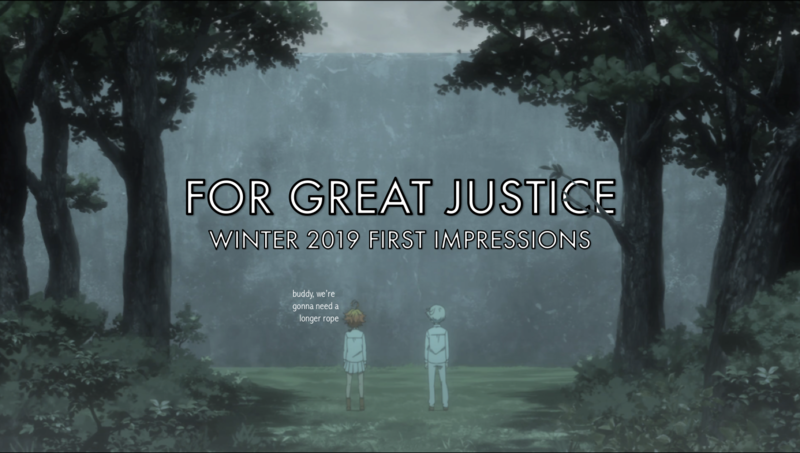 This first impressions round-up is a bit slimmer than usual, but the world’s mitigating circumstances and a generally below-average season seem like worthy explanations. 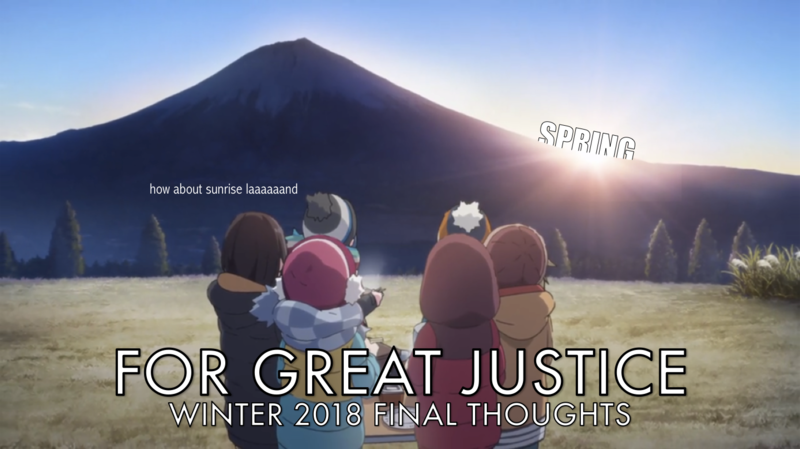 What’s worth watching? Read on and find out!